It’s this newsletter’s third birthday! Three years already! How did that happen? Seems that we’ve been publishing nearly every month now since October 2008. When the newsletter began most of the content of the newsletter was written by myself. Now we have a wealth of content coming from all directions and the number of subscribers has grown from 1,600 to just under 12,000. In 2008 we had just published the first book on Transition. Today there 8 titles in print exploring different aspects of Transition. The film ‘In Transition 1.0’ has been translated now into 12 languages and version 2.0 is in production. The number of initiatives has spread from 100 registered Transition initiatives in 11 countries in 2008 to 863 initiatives in 34 countries. In 2008 the Network website was a wiki and now we have a site with a host of great features. Over the last year, the Transition Network’s website has had over 300,000 unique visitors from 207 countries. The key Transition drivers of Peak oil, Climate Chaos and economic melt down have have never felt so close and increasingly occupy the front pages of the media. So it is great that this edition not only heralds the publication of Rob Hopkins Transition Companion but also the launch of the Social Reporting project that is taking the pulse of the transition movement. We also send first birthday wishes for many happy returns to our friends at Transition Voice who are burning a candle for the peak-ocalypse. ‘The Transition Companion: making your community more resilient in uncertain times’ is due to be published by Green Books on October 27th. It’s a big book! 320 pages, in full colour and large format, and much time and attention has been lavished on it to produce something that really does justice to what has become one of the most fascinating world-wide social experiments of our time, It is the result of a collaborative process involving thousands of people, possibly yourself included, over the past 18 months, and picks up where ‘The Transition Handbook’ left off. It sets out what Transition has become, packed with stories and photos from around the world, of ordinary people doing extraordinary things. October 12th: the London launch at Food from the Sky, Crouch End. October 27th: Transition ingredients available online. Books ordered now below will be shipped on October 13th, (2 weeks before Amazon) Transition initiatives are able to get great discounts for bulk orders. We’ve begun a grand experiment in Transition – a national blog created and compiled by 12 writers around the country that aims to communicate the real-life issues and experiences of being in Transition. We’ll be posting every day for the next three months on subjects ranging from economics to food to inner change. Guided by Charlotte Du Cann, each Sunday a guest editor will write on a chosen subject and set the theme for the following week. Peter Lipman (chair of the Network) is kicking off October, writing on The Big Picture, Sophy Banks (Transition Training) November, with a post on Inner Transition. Our intent behind the Project is to provide a friendly and intelligent space for this reflection and appraisal, where we can pay attention to all things great and small, from the greatest metaphysical questions to the humblest vegetable on the allotment. To link up and show the pattern of Transition culture across the country – what it looks like, sounds like, feels like. All those invisible connections that make us a resilient people. What the future might hold if we can walk down the mountain together. It’s a story about how technology and what it represented used to bother him, and how much change he has gone through working on the Transition web project, how he learned to accept the paradoxes, and why the stories project is so important to him. Transition Heathrow jumped on board the transition town movement at a very different stage to most. Where did it all begin? 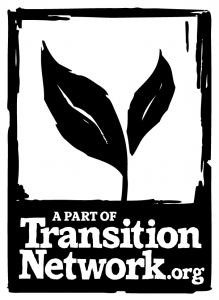 In this guest editorial from Transition Network chairman, Pete Lipman shares his version of “the” big picture, taken to be the context in which the transition movement is experimenting, responding to the challenges we face, while we live through the unfolding of an extraordinary story. The evidence is there, in our media, in our daily lives. Yesterday was the hottest October day on record in the UK. The cost of filling our community car is going up. Our income is going down. And yet we remain focused on what’s in front of our noses. If you’re considering starting to store some of your own food, why not start by learning from the experts? In the forthcoming ‘The Transition Companion’, one of the ingredients is called ‘How are we doing?’ and it looks at how groups can pause and reflect. Transition Town Totnes held an event to celebrate and reflect on the journey so far and on where we might go from here – your Transition initiative might find it useful for having similar reflections. Inequality as a central driver of Transition? Following our call out for people to send in their thoughts on including « inequality » alongside climate change and peak oil in the Transition Network purpose statement, we publish the responses to generate further discussion. the community solar power station in Lewes. when it opens next year. Local United has teamed up with a number of leading ethical energy suppliers to offer community groups the chance to benefit financially from their members switching to one of these suppliers. to read and add to the projects directory all from the comfort of their own local websites.